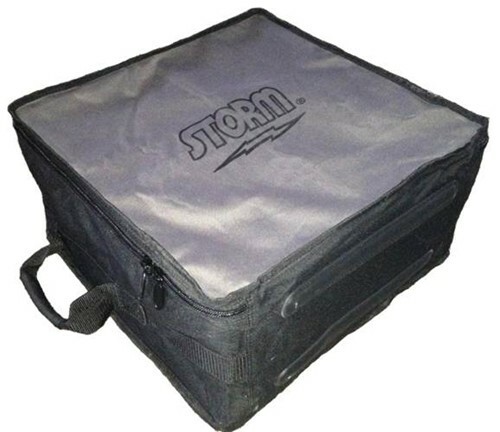 Get the Storm 4 Ball Case Box Tote today! With the reinforced zippers and stitching, you will have no problem with this sturdy bag! This bag is great for storage and travel, and it also has two handles for easy transportation. I use this case for storage of my extra bowling balls and equipment. The only thing that I wish it had was dividers. I like everything else. Can this bag fit four candlepin bowling balls and a pair of bowling shoes? Hi Gary. This case is designed to only fit 4 10 pin bowling balls. Since we do not sell candlepin bowling balls I am not sure how those would work in this case. Due to the time it takes to produce the Storm 4 Ball Case Box Tote ball it will ship in immediately. We cannot ship this ball outside the United States.